It’s Grammy time again. I just sent off the Grammy Ballots for the nominations for the 2017 Grammy Awards. Several of my artists are on the list, and it was a tough choice. Not because I am “favoriting” my students, but because too many of my artists (and those on the list to be nominated) are so amazing ;). One thing is true. Grammy winning singers and artists are badass. They have badass vocal chops, vocal techniques and killer vocal arrangements. It’s important to know that in the entertainment industry, nothing is “natural.” Voices are worked on, worked over, and worked through, in every which way possible to make them stronger, better and shine greater. Here’s a glimpse behind the velvet curtain of the Top 15 Best Kept Secrets of Grammy Winning Singers from a behind-the-scenes view. 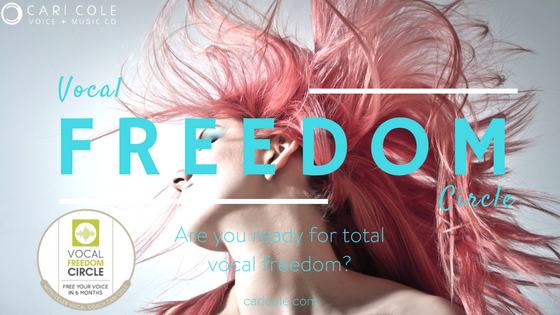 Vocal technique is one of the best kept secret weapons in the industry. No one talks about it, or wants to admit it — but it’s the discerning difference between the good and the great voices out there. And the great singers practice it to be on their A game. All the time. Lady Gaga blew us away at her Oscar performance a few years back— and are you ready for this? She not only worked with a coach, she worked with a coach every day for 6 months! Why you ask? Because she wanted to blow people away with her voice. And it worked. Brilliant. Pro singers vocalize 5 days a week. Aspiring singers vocalize 2 days a week. Hobbyists vocalize whenever they feel like it ;). Quick Tip: Study vocal technique 5x a week for a period of 2-3 (or more) years. I studied and trained for 8 years. I vocalized 5x a week for 5 years. That’s what it takes for a contemporary singer to build a killer voice and a technique that will run on auto-pilot (which is what you need.) And hey, don’t mess around with cheap techniques. They’ll cost you time, money and your vocal health in the long run. Yep. This is a big one. I get this question all the time. How do I hit high notes with more power? How do I belt? How do I hold a note better. It’s all breath. Breath brings fullness, range, big notes, high notes and power to the voice. 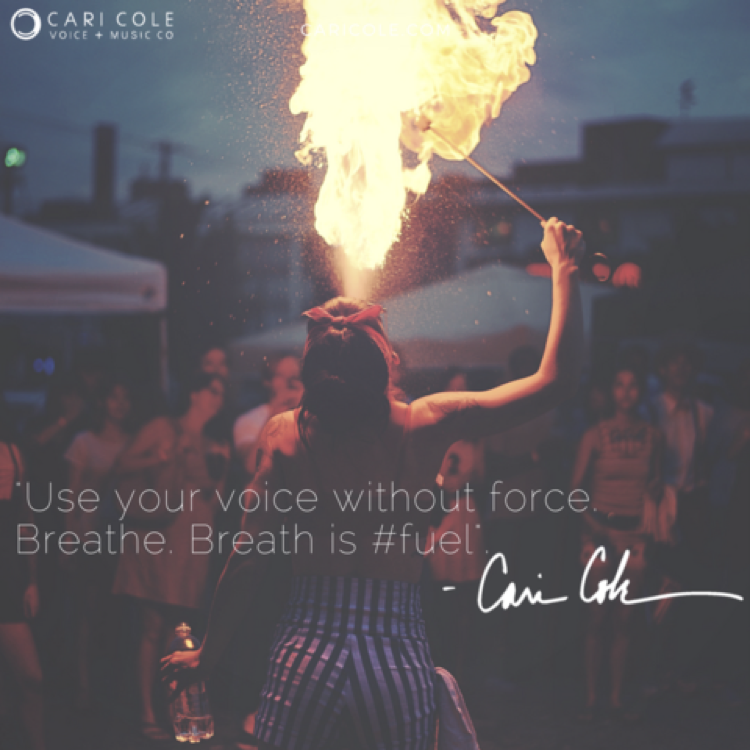 Air and breath are the fuel for your voice. It makes sound by creating movement at the vocal folds so they can vibrate. Most singers don’t breathe enough and often their breathing muscles are tight and constricted. Use your breath to better fuel your voice and to open your rib-cage allowing the diaphragm to drop. I remember in the 80’s when I was an aspiring singer in New York. I remember hearing about Mariah Carey (who sang backup for Teena Marie at the time.) She would practice riffs all the time. Sitting on the bus, waitin’ for a train, walking around Manhattan, she would practice her runs. Riffs, runs, and melismas are one of the distinct features that brings an original sound to a great voice. Everyone uses them differently. Some use a lot of them, and some singers use few. It’s all about taste and style. As a vocal arranger, I style the person’s voice depending on their genre and aesthetic. It makes all the difference in the delivery. All great singers master their belt voice. Commonly referred to as “chest” voice, it’s the ability to to sing with power. On a technical level this means having laryngeal compression or resistance. When you sing with more power or force, generally you are sending more air which pushes up against the laryngeal muscles (your voice box) and pushes it upward. This leaves the voice vulnerable to cracking, shaking and it won’t be able to handle the force of the air. One of the biggest “tells” of a great singer is their phrasing. Phrasing is the rhythm of the vocal line – how it sits in the music. Phrasing in pop music comes from rhythm and blues, so if you want better phrasing, study blues singers to sit in the music more effectively. Improving your rhythm skills by taking up drums or tapping the beat of the music while you sing to get that internal metronome inside you, are ways to beef up your skills. Many famous singers are drummers. A little known fact of the album 25 is that Adele played drums on “Hello” alongside producer Greg Kurstin. Marvin Gaye, Don Henley and Peter Gabriel are also drummers, besides being vocalists. My past Grammy winning student Donald Fagen of Steely Dan, was chosen as the lead singer for Steely Dan, not because of his vocal quality, as much as his ability to phrase. He had great vocal phrasing. It makes great singers. Quick Tip: Practice technique 45 min a day 5 days a week. At performances, keep technique in the background and emotion in the foreground. One of the benefits of being a Grammy winning singer is that by the time you get there you’ve had a lot of experience and a lot of help. You’ve learned by trial and error (and a lot of recording techniques) how to build an effective vocal arrangement. Quick Tip: Dynamics are the first thing to approach. There is a “dynamic arc” to your song and to each section. You want to build the vocal line using dynamics (softer to louder) as well as build the notes upward as you move through the song gaining a note higher in each section. You also want to add held notes or riffs where appropriate and where the emotion of the lyric calls for it. Pay attention to the dynamics of the music so the vocal builds as the music builds. Great singers have a secret weapon and it’s not autotune. Matter of fact, you won’t need autotune when you have this. Introducing…the Vocal Arranger. A vocal arranger is the person who decides how the singer will sing/interpret the song. It might be a line that the arranger thinks sounds better if the singer uses a straight tone or a little vibrato here or there. Maybe the note should be sung an octave higher or lower, or perhaps a nice touch would be to add a breathy tone to the words. Maybe this part of the vocal line needs more dynamic or rhythmic phrasing. Here, the vocal arranger may say “Hey, let’s add a riff right there, or an ooohh aahhh.” A great vocal arranger will bring out even more emotion than you thought you had in you. Your voice will come across more powerfully and with more of a signature than you ever have heard yourself sing with before. Every singer who climbs into the limelight has a dedicated lifelong mentor or two to help them get there. Starting with their vocal coach, or producers they met along the way or industry peeps that “get them…” A mentor is an experienced, knowledgeable and important person to have throughout your career. These are the people who will tell you the truth, when everyone else won’t. They will care about you throughout the ups and downs, and offer solid advice and guidance from their vast experience in the biz. For a great read about how a music mentor can help you, check out Clive Davis’s book “The Soundtrack of My Life.” Great stories and tips about how he helped many big stars carve their way. Eddie Murphy once said in an interview, when asked why he was successful, that he it was because he gave himself no other option. Many successful artists, musicians and actors say the exact same thing. There is something about that kind of unreasonable-ness that makes you do what others won’t. Everyone on that Grammy stage had to take the leap at a certain point. That said, it’s not about being foolish, or leaving your day job when you have no other income. It’s about making a plan, getting help and then sticking to it with the certainty that it is going to happen. Want to rock your vocals on your next record and get your voice in killer shape? Join us for our next Vocal Freedom Circle. We’ll show you all of the above and free your voice in 6 months time!